Thanks to the recent emergence of regulated medical cannabis markets, the success of this versatile plant can be followed from farm to pharma and prescriber to patient, however, the origins of cannabis as medicine cannot be as simply traced as the plant is today from seed to sale. Pharmaceutical grade cannabis is relatively new in parts of the world. In Latin America, for example, regulated medical cannabis markets are still in their infancy. Despite its early days, the therapeutic uses of cannabis have been a common, but sacred wisdom of the past. Across the Latin American region, shamans have been using cannabis as a remedy and Rastas of Jamaica have found guidance in it as a spiritual rite. Whilst it may be old news to some that cannabis has therapeutic value, much of the region has only recently come into the light. A regulatory framework for medical cannabis was first implemented in 2013 when Uruguay pioneered and paved the way through to legalization. Medical cannabis continued to pop up across the region year after year: imports in Brazil began in 2014, trials started in Chile in 2014, regulations were implemented in Colombia and Jamaica in 2015, the same followed in the Cayman Islands and parts of Argentina in 2016, Paraguay in 2017, and the list carries on from 2018 to date. This timeline of medical cannabis reform shares a story about people rather than profits. It is not a story about profiting off of people. Of course, patients need product and product costs money. Patients, and their treatment, therefore, are the priority. Treatment options may be limited by government-approved imports, a practitioner’s prescription or pharmacy stock. The availability of medications for patients varies from country to condition. For most, medical cannabis oil has been the most available form in the Latin American region. Although a patient’s story cannot be quantified in the same way that their medication can be measured, there are estimates of the size of the Latin American medical market. These estimates vary drastically source to source, which reflects what conditions make a patient eligible for a cannabis-based medicine. Khiron Life Sciences states that there are 68 million potential patients in Latin America. This statistic accounts for medicines treating patients with epilepsy, anxiety, depression, chronic pain, and other illnesses. According to Prohibition Partners, the number of potential patients only reaches 4.3 million people. This figure is limited due to the variance in the way jurisdictions across the region have legalized cannabis for particular medical conditions. The relative size of the market fails to represent anything other than a figure since potential patients also assume that people can potentially afford medical cannabis. Legal access does not necessarily equate to financial access. In some cases, obtaining medical cannabis is a privileged advantage in Latin America. Although there are health systems, insurance programs and coverage options that provide a means to treatment, this is by no means guaranteed. Although there is growing access to cannabis medicines, there is an increasing need for credible research and educational platforms. There is an intimate relationship between the two, especially in Latin America. Education and research are necessary to generate credibility and shift perceptions. Fortunately, as cannabis is being legalized for medical purposes, governments are also legalizing cannabis use for scientific purposes. Increased education, scientific research, and access leads to increased acceptance. As more people are educated on cannabis’ therapeutic uses, the region will likely see a diversification, and perhaps commercialization, of medical products. 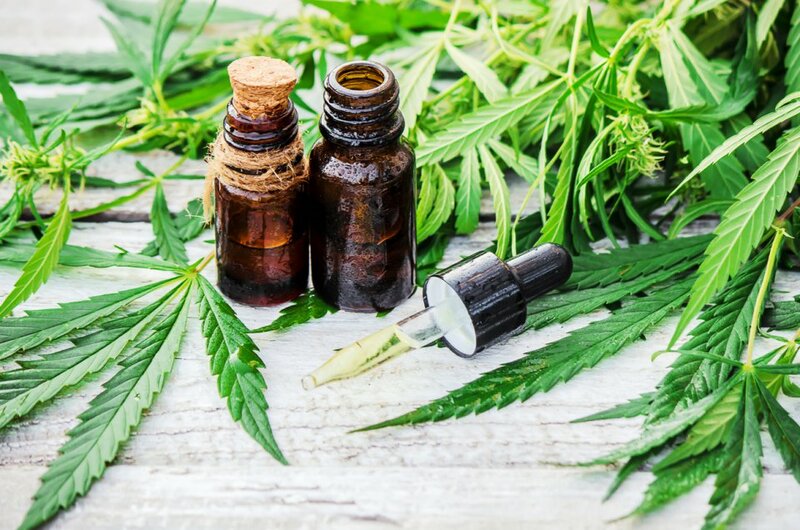 A shift from a market dominated by cannabis oil may open up to other treatment options such as gel capsules, patches, topical ointments, dried flower, suppositories or edibles. Note that the term medical cannabis in 2019 carries a connotation that includes a spectrum of uses (just as full spectrum products have a range of benefits). Medical cannabis, as a categorization, often clusters together therapeutic uses of the plant from wellness supplements and nutraceuticals to clinically tested pharmaceuticals. This article has primarily offered a small dose of the pharmaceutical side of the medical cannabis market in Latin America. A larger dose would provide a broadened scope of medical cannabis as a remedy or a wellness opportunity. Addressing the medical cannabis market through this lens begins to shift attention strictly from patients to a wider public, which then becomes a story more closely tied to expansion and economics. Rather than over-prescribing the daily intake of cannabis news, we’ll cover the economics in the next segment of this Latam series. In the meantime, keep an eye out for headlines that announce cannabis companies strategically integrating local markets and political parties in the region pushing to legalize and regulate cannabis for medical purposes.